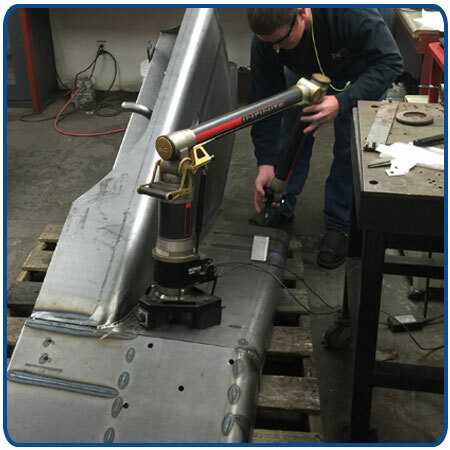 IFH quality control technician measures a complex tank/weldment assembly using a Portable CMM (Coordinate Measuring Machine). 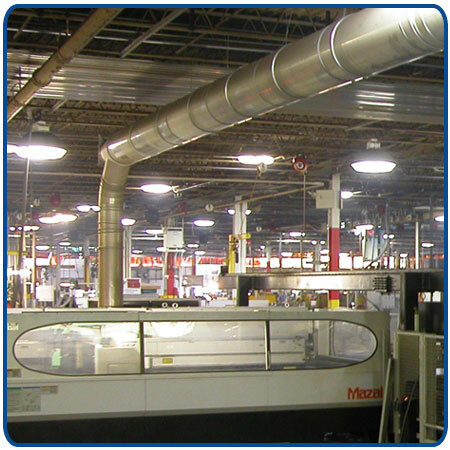 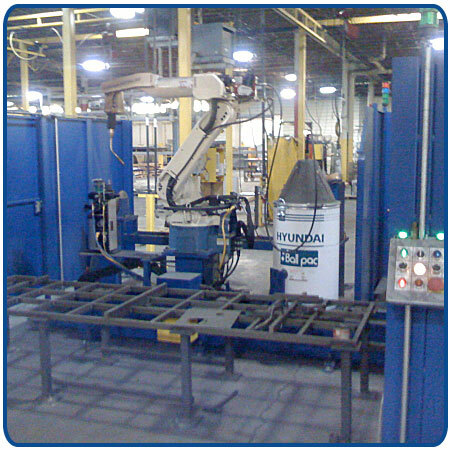 Our CMMs are used in Level IV PPAPs (Production Part Approval Processes), First Articles/Prototypes, and production as necessary. 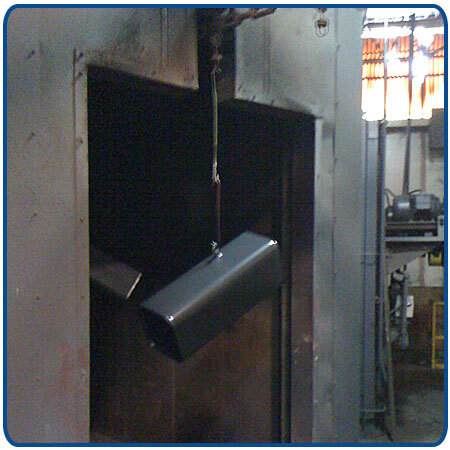 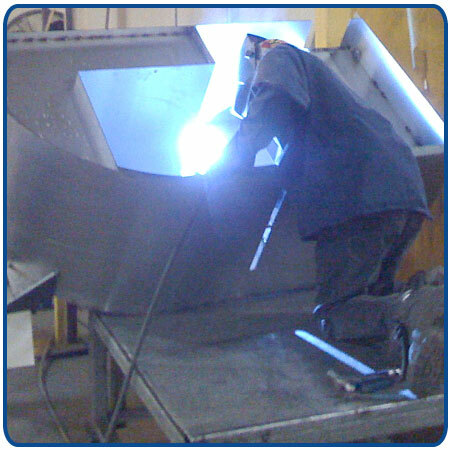 This tank is coming out of the curing oven at IFH Group. 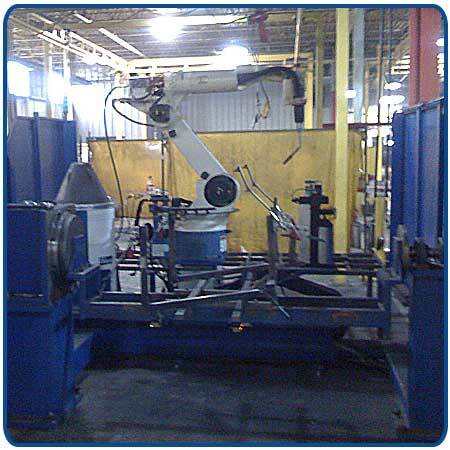 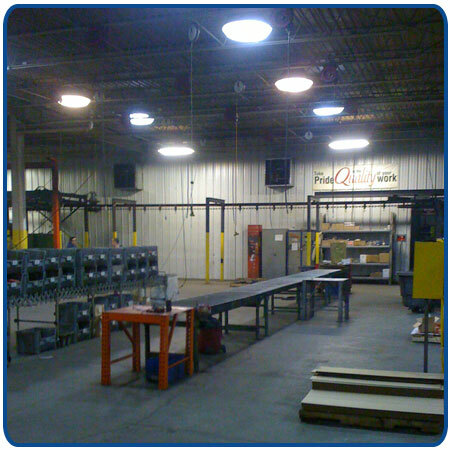 C&P (clean and preparation for shipment) area at The IFH Group where fabrications go after powder coating.